BlackBerry unveiled its Key2 Android-based handset just two months ago, and the brand is already set to launch a couple more devices through Optiemus, its hardware partner in India. 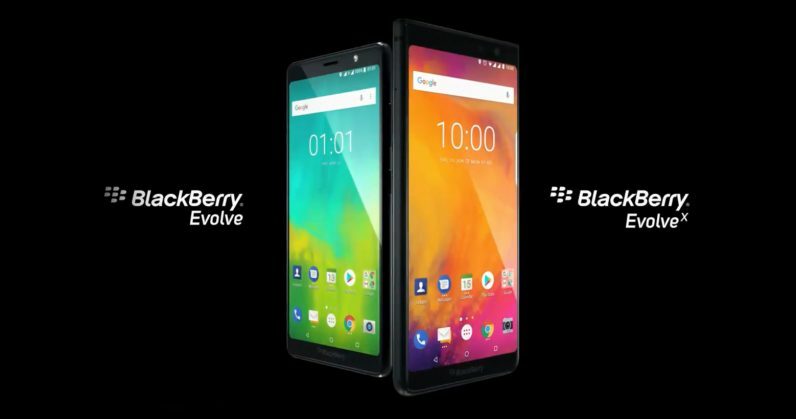 The new Evolve and Evolve X don’t have physical keyboards like the iconic models that made BlackBerry a household name, but they do come with 5.99-inch 18:9 FHD+ displays, Android 8.1, 16-megapixel selfie cameras, and large 4,000mAh batteries. The lower-end Evolve gets a 1.8 GHz Snapdragon 450 chip, 4GB RAM, 64GB of onboard storage, a microSD slot to add more space, and dual 13-megapixel cameras on the back. It’ll cost Rs. 24,990 ($365) when it lands next month. The beefier Evolve X gets a boost to 6GB RAM, as well as a faster 2.2 GHz Snapdragon 660 chip (the same as the one in the Key2), a 12-megapixel + 13-megapixel rear camera system, and support for quick charging and wireless charging. It’ll set you back by Rs. 34,990 ($510) and will be available at the end of August. It looks like both models will only go on sale in India – at least initially. With those specs, the Evolve X will go up against the likes of the Nokia 7 Plus, which is a lot cheaper at Rs. 26,000 ($378). And with its pricing, the Evolve X costs as much as the outstanding OnePlus 6. The only way I see these devices winning people over is with BlackBerry’s promise of enhanced security for enterprise users. You might want to wait a bit for the budget version of the Key2 that’s said to be in the works, as you’ll be able to enjoy a physical keyboard at a lower price than the original Key2’s $650 tag.